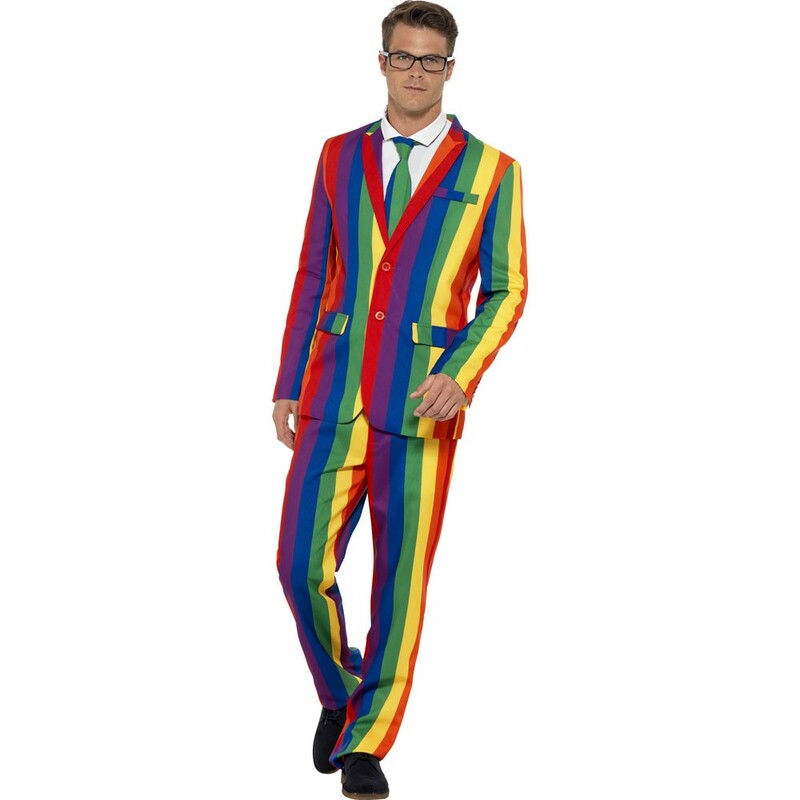 An Over the Rainbow Suit including Jacket, Trousers, and Tie – Ideal for Pride events, Festivals, or any other fancy dress occasion! 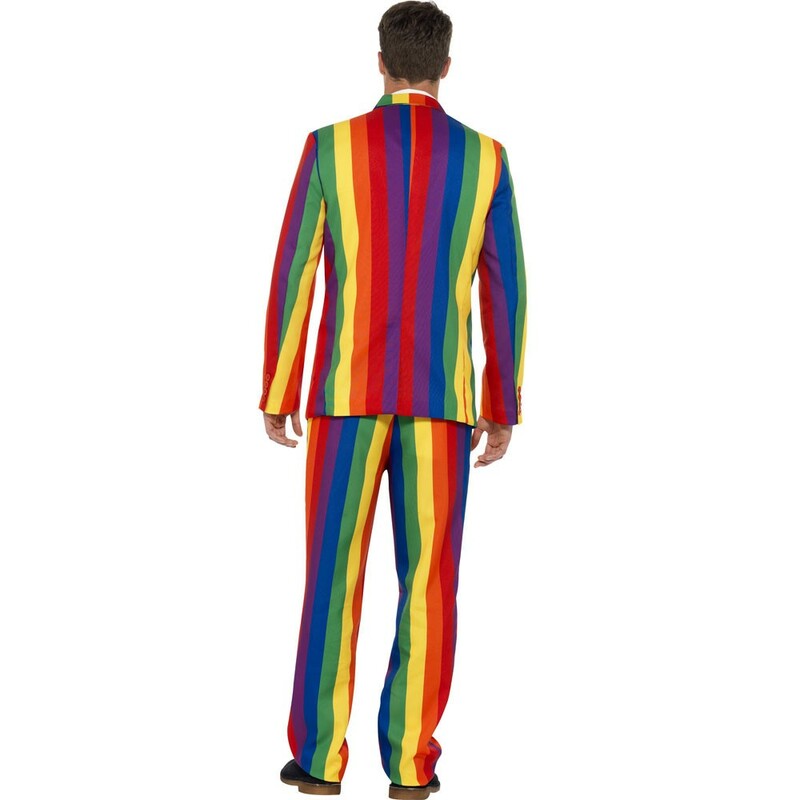 What better way to stand out in a crowd than with this brilliant Over the Rainbow Suit. This costume comes complete including a jacket, Trousers, and Tie. This vertical Rainbow stripe pattern is throughout the costume, and is sure to make a bold statement. The Jacket of this Over the Rainbow Suit features red buttons, and pocket details for a smart look, and the trousers have a simple button and zip fastening. The Rainbow Tie adds the final touch to this Over the Rainbow Suit. This attention seeking suit is perfect for Pride Events, Festivals, or any other fancy dress occasion. 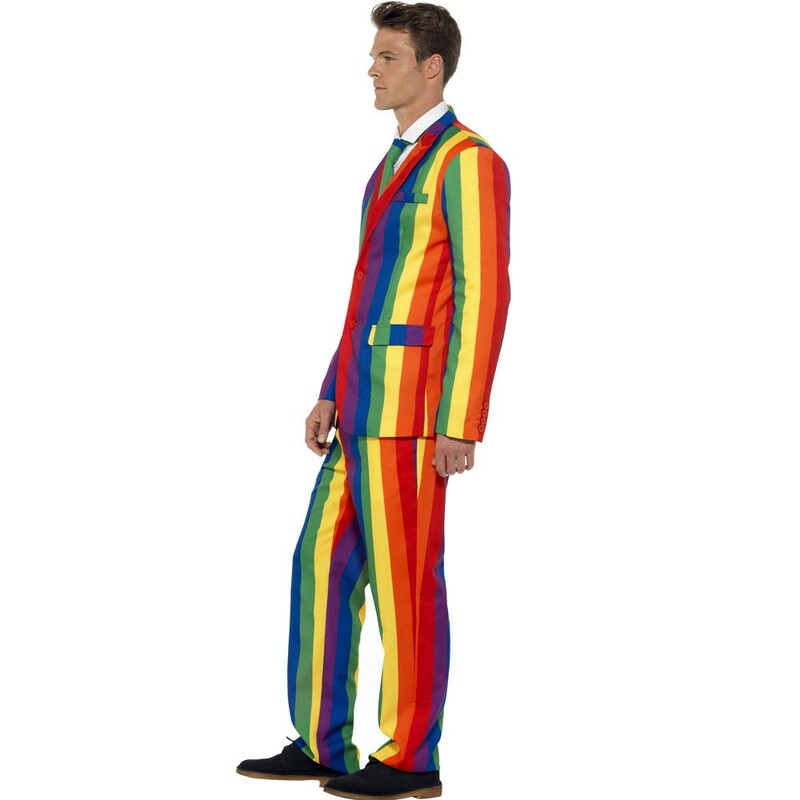 This fantastic Over the Rainbow Suit will ensure you’re dressed ready to party! Size guidelines: to fit a 38-40” Chest, 42-44” Chest, and 46-48” Chest. An Over the Rainbow Suit including Jacket, Trousers, and Tie.